Container ship CSCL VANCOUVER suffered fire on board on Aug 13 in East China sea off Shanghai, SAR ship DONGHAIJIU117 (IMO 9682631) was sent to assist. Reportedly, fire was extinguished by the crew, but there was danger of fire renewal. 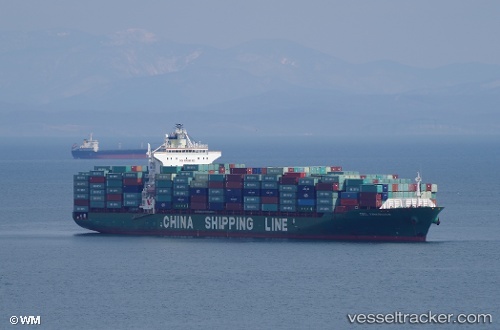 Vessel was escorted to Shanghai, where she was berthed, but later has been moved to inner Shanghai Anchorage. As of 1400 UTC Aug 16, vessel was still at anchor in Shanghai, extent of damages and present status unknown.